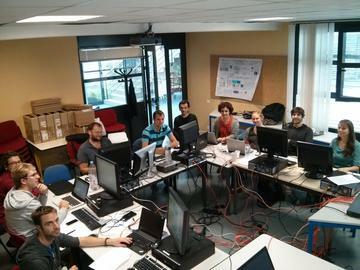 A SIROCCO training took place from 9 to 12 September 2013 at Laboratoire d’Aérologie with the partipation of people from the research team GLADYS (www.gladys-littoral.org) and from the University of Montpellier. This modelling training course was mainly dedicated to the use of the ocean model S26, from the regional scale to the near shore area (Gulf of Lions in the Mediterranean Sea and the Taiwan Island). Two ongoing PhD projects of the GLADYS group were more particularly concerned by waves/current interaction.